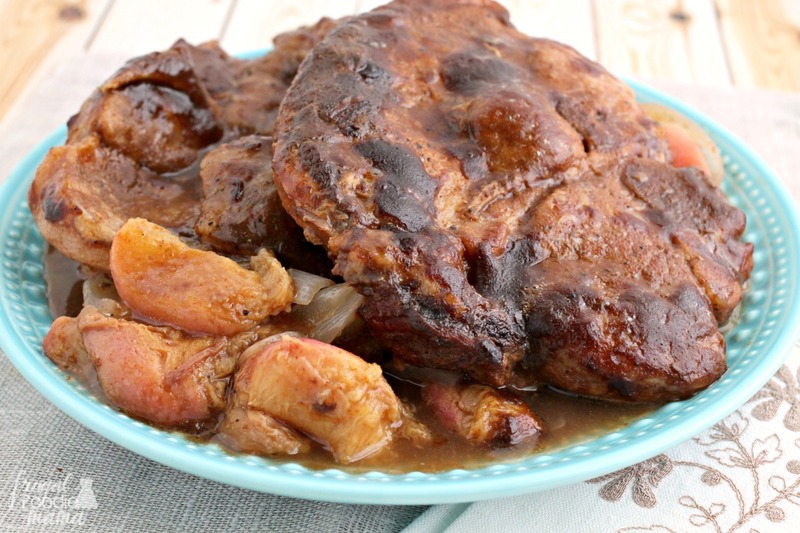 Spray the inside of a 6 quart slow cooker with cooking spray. 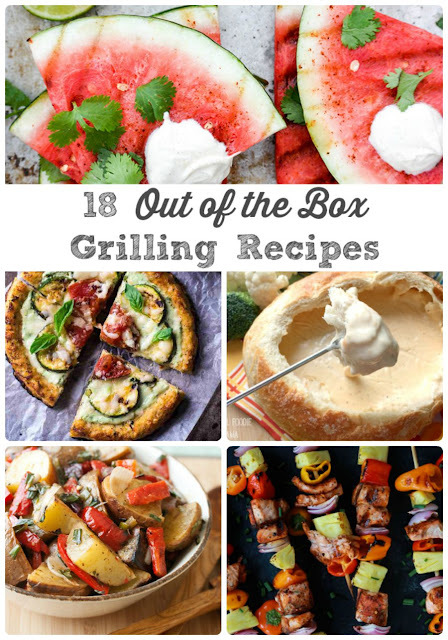 Add in the chopped onion & sliced peaches. 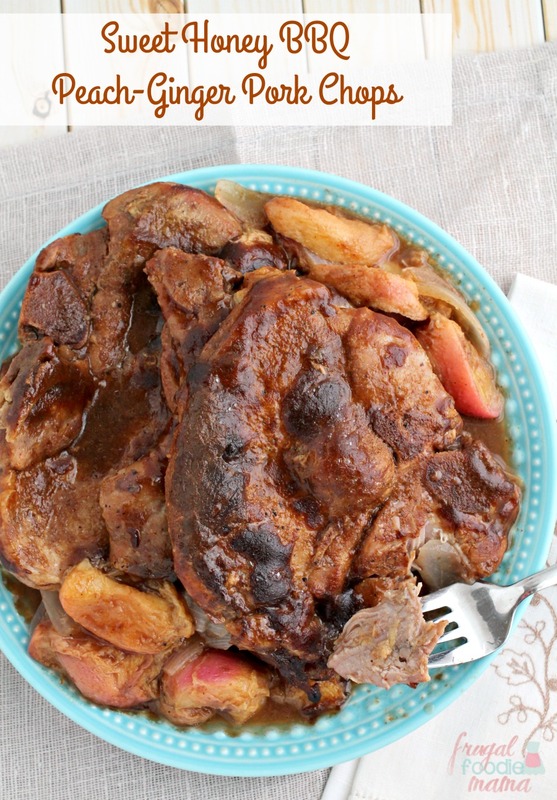 Season the pork chops with salt & pepper, & then place on top of the onions & peaches in the slow cooker. 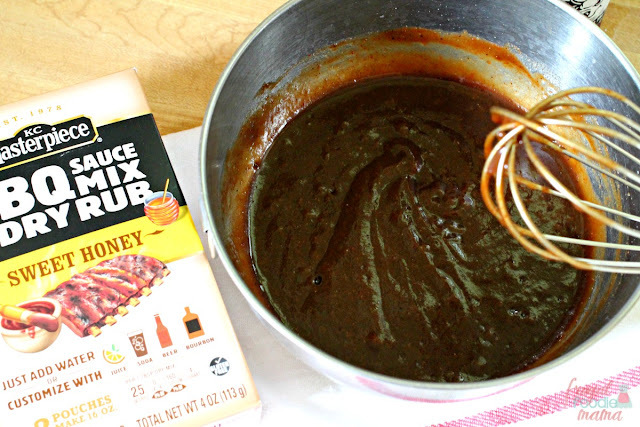 In a small mixing bowl, whisk together the KC Masterpiece BBQ Sauce Mix & Dry Rub, peach nectar, and ginger beer. 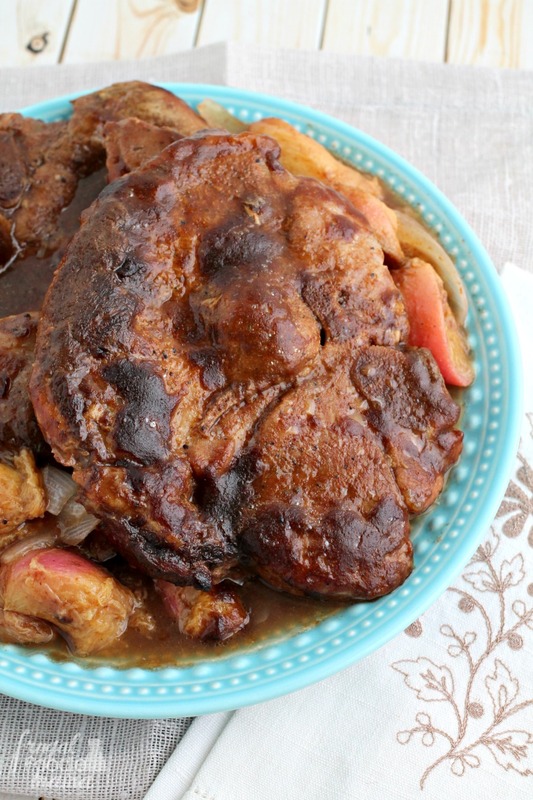 Pour the sauce over top of the pork chops, onion, and peaches in the slow cooker. Serve the pork chops with the apples and onions in the slow cooker and your favorite sides. I really love the sweet and smoky combo for my BBQ dishes, so I simply added peach nectar and ginger beer to the KC Masterpiece BBQ Sauce Mix & Dry Rub Sweet Honey for these family-pleasing pork chops. You should be able to find peach nectar in cans in the Latin/Mexican foods section of your local grocery store. And you can pick up ginger beer in the soda or cola aisle. Don't let the beer in the name fool you- ginger beer is actually nonalcoholic. It is similar to ginger ale, but has more of a spicy bite. If you can't find peach nectar or ginger beer at your local grocer's, feel free to substitute a peach juice blend and ginger ale instead. 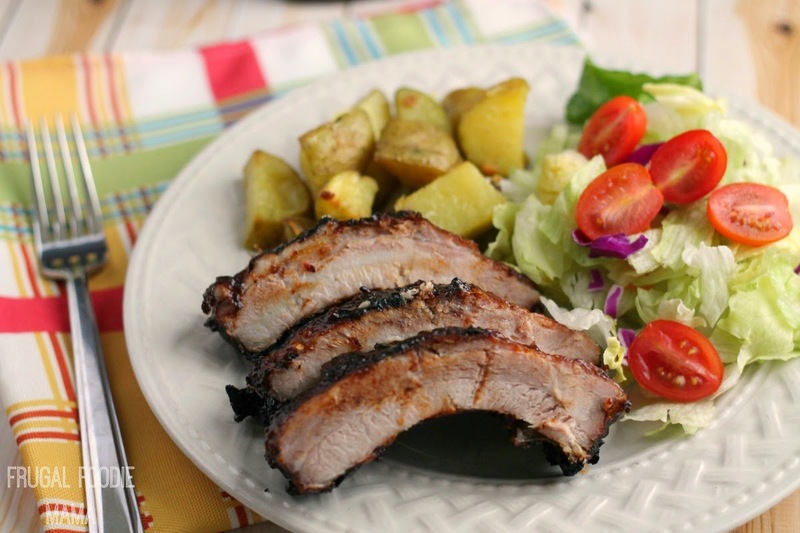 How will you customize your next summer barbecue or family get-together using KC Masterpiece BBQ Sauce Mix & Dry Rubs? 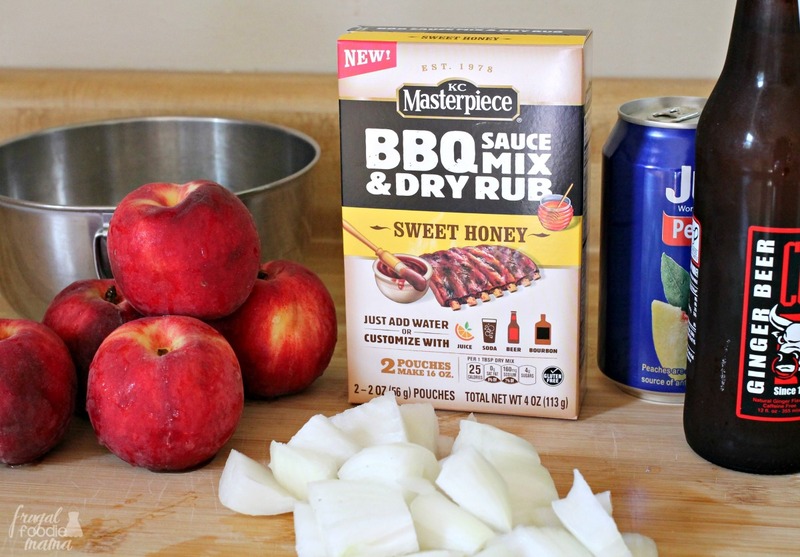 Be sure to visit the KC Masterpiece website for even more recipe ideas, tips, & more!